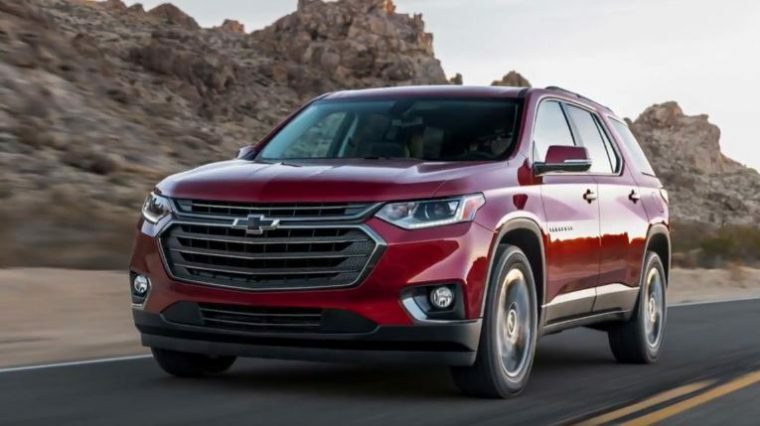 Coming off of its triumphant inaugural first year of a new generation, the next model year of the Chevrolet Traverse can hardly be expected to see many changes. However, that isn’t to say that the 2019 Traverse will have no changes at all from the 2018 model. Fine Details: What makes a used vehicle “Certified Pre-Owned”? For the exterior, the Traverse mostly receives updates for the range-topping Premier and High Country trims. For those models, the liftgate now has a new Premier badge, and when equipped with the Hit The Road Package, those models will have bright roof rails—previously, these were black. The black rails are now only available on LT, RS, and Redline Edition models. Finally, the Traverse is dropping its 18-inch Bright Silver machined face-painted aluminum wheels, replaced by 18-inch Bright Silver painted aluminum wheels. Inside, the big change is that the heated steering wheel, formerly manually activated by the driver, now has an automatic activation option, when enabled by the driver. Otherwise, changes are package-related. The LPO-level cargo liner is now part of the Floor Liner Package, and the Premium Carpet Mat Package is now only available on High Country models. More Chevy: Wonder how the Traverse stacks up against the Toyota Highlander? The Chevrolet Traverse is the largest crossover offered by the Bowtie Brand (the Tahoe and Suburban above it are purely SUVs, meaning they are built on truck platforms), and shares its platform with the second-generation Buick Enclave, as well as the GMC Acadia and Cadillac XT5, albeit in a shortened form.